1. "If you can't fly then run, if you can't run then walk, if you can't walk then crawl, but whatever you do, you have to keep moving forward." How often have you thought that there are just too many obstacles in your way so you just give up trying? Chances are if you focus on the things that you can change, you will succeed if you persevere. No matter what your limitations are, you will get there if you are determined, single minded and driven. Just keep going! 2. "The time is always right to do what is right." Life is full of choices. The most important thing is that we do not stay silent, turn our back or let fear of repercussions prevent us from doing the right thing. You may have to part ways with a rich client, an aggressive employee or an unscrupulous partner but staying true to what’s right is always the best thing to do. 3. "Injustice anywhere is a threat to justice everywhere." Injustice is never acceptable and we should all try to make sure that we never consciously or unconsciously accept it. You may be very well aware that there is someone in the office who is unfairly subjected to taunts, exclusion or ridicule. And this, if left unchecked, can ruin lives. So if you notice absenteeism, low self-esteem or depression in one of your colleagues, be watchful and protective and tell someone. We all need to look out for each other. 4. "We must accept finite disappointment, but never lose infinite hope." Many entrepreneurs will tell you that disappointment provides you with the stepping-stones to success and the more you meet with rejection, the harder you try, as failure is never an option. When Martin Luther King Jr. urged the Americans to treat African-Americans with the same respect as their white counterparts, his cause may often have seemed to be hopeless. But he held on to his dream and the rest, as they say, is history. 5. "Faith is taking the first step even when you don't see the whole staircase." 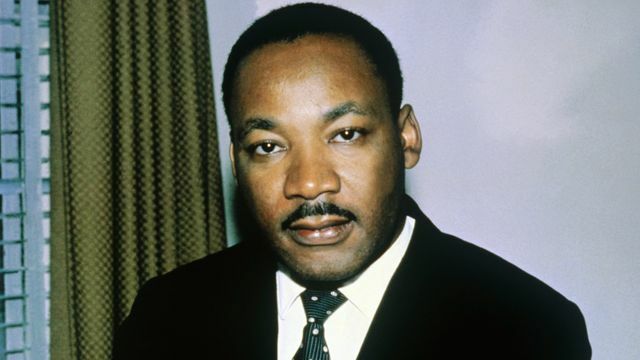 Events will take place across the United States to mark the 50th anniversary of the assassination of civil rights leader Dr Martin Luther King Jr. Dr King was shot dead by James Earl Ray as he stood on a balcony of the Lorraine Motel in Memphis, Tennessee. He had gone to the city to support striking sanitation workers in their struggle to gain better wages and working conditions.